Dunkin' Donuts is chowing down on the gluten-free craze. The company introduced its first-ever gluten-free bakery product: a fudge brownie. It's available in all of Dunkin's 8,500 US stores beginning Monday. Dunkin' said in a statement it recognizes "the importance of providing alternative choices for people with dietary restrictions or who choose a gluten-free diet." Dunkin's brownie is one of several new items it's introducing, although the rest aren't gluten-free. Other new items include waffle-breaded chicken tenders, pretzel bites and ham and cheese roll-ups. 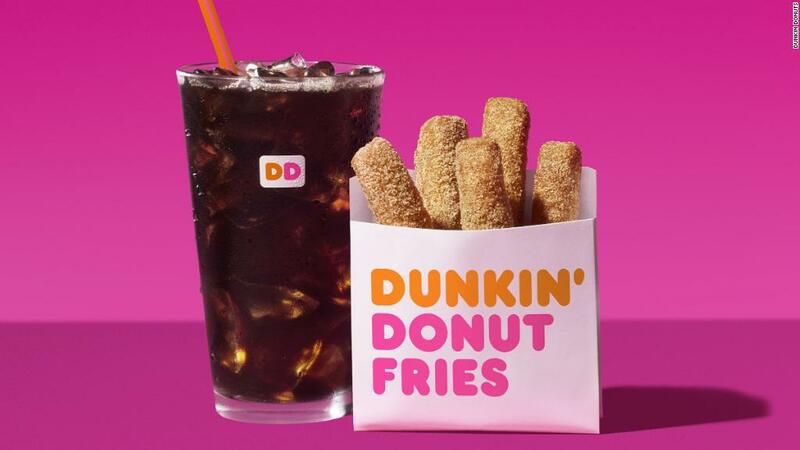 All of these items, which cost $2 each, are part of the chain's new Dunkin' Run menu. The goal is to bring in customers outside of its traditional breakfast rush. The company is going through a major upheaval. The brand recently nixed the "donuts" portion of its name in some new stores, slimmed down its food offerings, changed its marketing to emphasize its drink selections and announced plans to double the number of locations. The Boston-based chain also named a new CEO in early July.